Toronto barn door design varies from the traditional style and design to the more contemporary... This recent project completed by Toronto Custom Concepts includes a bit of both. 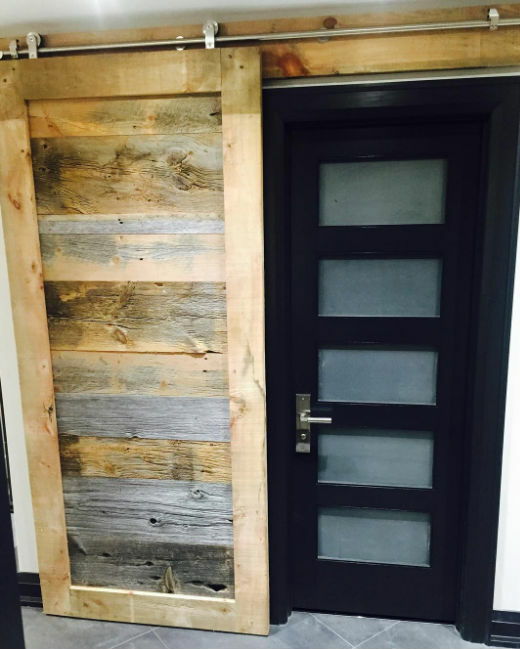 We took a contemporary office design and gave it a touch of a rustic feel with the addition of this rustic barn board sliding door. The heavy gauge sliding hardware allowed us to suspend a large barn board door with a two inch thick wood border. The barn board was an original from a 100+ year old barn north of Shelburne Ontario. Let us know you opinion on this contrast of two design styles coming together as one!